Black Author, Teacher and Entrepreneur Patrick Phipps grew up in East London struggling with dyslexia in school and battling with the contrasts between what he was told he could achieve versus what he truly knew was possible for him. Phipps always had a natural entrepreneurial flare and creative abilities and through sheer perseverance and belief in himself and a passion to provide for his wife and two daughters, he is now the author of three books, a qualified teacher and assessor teaching Barbering at East Ham College and a serial entrepreneur being the owner of ‘Cut Above The Rest’ barber shop in East London; which had been doing successful business for over 28 years. Patrick is also a qualified Reiki Practitioner and the owner of a hand-made crystal jewellery line. 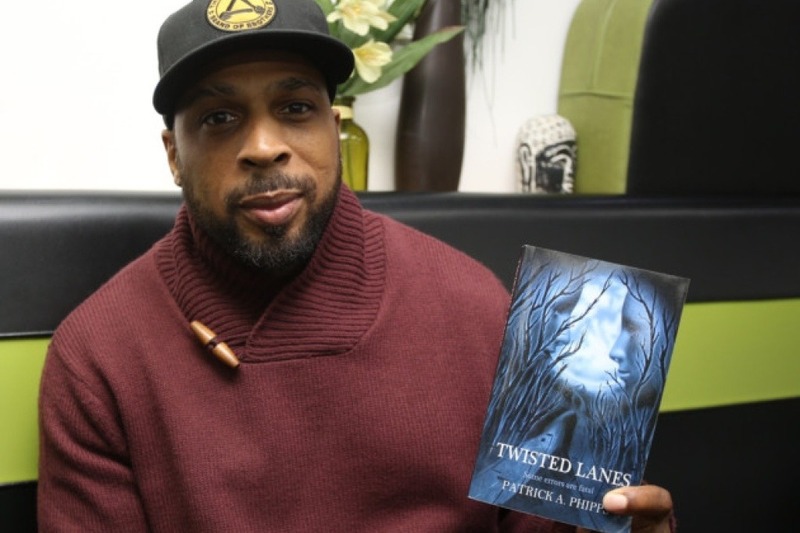 A few years ago, Patrick Phipps released his first fiction paperback book ‘Twisted Lanes’ for adults! An urban, gritty and emotional tale inspired by real life in the streets of East London and following the success and positive reviews received by ‘Twisted Lanes’, Phipps is now on a mission to create a special braille selection of this relate-able tale, to blind and partially sighted adults from Black and Ethnic Minority groups, via local public institutes and organisations for free public access. This being strongly driven by his own battles with dyslexia and a consequential understanding of the importance of accessible reading for all. The final braille books are to be placed in public institutions which cater to the targeted demographic, including but not limited to, local libraries, colleges, social hubs and universities. Author, Patrick Phipps champions enjoyable and accessible reading to all and this special Go Fund Me Campaign has been created with the sole intention to create and provide free copies of a special braille edition of the urban fiction tale "Twisted Lanes" by author Patrick Phipps, to public groups and organisations in the UK that are widely accessed by those who are blind and partially sighted, especially from the Black and Ethnic Minority communities. The final braille books are to be placed in public institutions which cater to the targeted demographic, including but not limited to, local libraries, colleges, social hubs and universities. The original Twisted Lanes book has been notably enjoyed and positively reviewed by many from the adult BME and wider community in paperback form and today the author's mission is to extend it's reach. Patrick Phipps is determined and passionate about providing access to this fictional tale; inspired by real life on the streets of East London, with great lessons, humour, twists and turns to keep readers at the edge of their seats, to everyone who should wish to enjoy it! Sight advice FAQ reported that over two million people in the UK live with sight loss, that’s around one person in 30. In 2014, around 350,000 of those were registered with their local authority as blind or partially sighted. It is predicted that by 2030 the number of people with sight loss in the UK will rise to over 2,700,000 and by 2050 will double to nearly four million. This showing that blind and partially sighted people make up a large part of our community, yet blind readers face a dramatically limited choice of book titles and are therefore limited to only being able to read what is sparsely available to them. Only 7% of books are available in large print, unabridged audio and braille. These statistics are astonishing, and they stand to highlight how marginalised this particular group of readers are. The lack of variety for people of all ages, races and cultures to be able to pick up a braille book they would love to read is unacceptable and this needs to change. As well as being a tool of education, books serve to enrich the imaginations of the people reading them. "I want to promote my passion for accessible reading to all! As a teacher, a author and a lover of books I know the importance of reading. Being someone who has struggled with Dyslexia in the past, I also understand how essential it is that all books, including mine, be accessible to all in the right format. A few years ago I released my first fiction novel ‘Twisted Lanes’, an urban, gritty story inspired by real life in the streets of East London…with a fatal twist. Twisted Lanes was originally released in plain text only due to my budgets at the time and following the success and great reviews from readers of Twisted Lanes, I would like to expand on the Novel into having a Braille edition for the blind and partially sighted and hopefully also an audio book in the future". The mission is to raise £3.5k to be able to create a selection of adult braille editions of Twisted Lanes and to be able to successfully distribute them to the right organisations and to ultimately make a difference by adding to the variety of braille books available to people who need and will enjoy having access to them. Once this goal is reached with your help, Patrick Phipps will be donating THE ENTIRE BRAILLE EDITION OF TWISTED LANES to institutions, groups, colleges and libraries across the UK! Note: The Twisted Lanes story is one of an adult nature. This fiction book contains explicit language, violence and scenes of a sexual nature. Unfortunately, like most things, the solutions come down to funding and this is the very reason why we need your help via this Go Fund Me Campaign, the success of which will fund a selection of Braille version of Twisted Lanes to be able to be curated! After researching he cost of creating these braille editions put together this Go Fund Me campaign to get the project off the ground and make it possible! Braille books are not cheap to create but they will be totally worth-it knowing that they will be received and enjoyed again and again by those who deserve to get lost in a good story as much as anyone else does,making the end goal totally invaluable. A good read has the ability to take us away from the mundane and open up our senses to whole new worlds and concepts, igniting dreams and stirring passions. Books can nurture our ability to empathise with others as we connect with the characters within stories that we read, allowing us to draw from lessons learned throughout the plot. This was Patrick Phipps' vision when he wrote Twisted Lanes. He says: "I wanted to create key characters and a strong inter-connected story line between these characters, that would be relate-able to others. I was particularly interested in the stories and their lessons reaching out to young people and ethnic minorities, as well as those who may be vulnerable and still learning about how vital and influential the choices that they make are, not only to their own lives, but also to the lives of others. Equally, I wanted for everyone who picked up the book and read through its pages to find it relate-able and to take on its lessons". For troubled teen Carlton and his mum Teresa, and his best friend Patrick, life is full of choices that have serious consequences when dubious roads are taken. Can they survive the impact of their own decisions and those of some very dark souls? This powerful throe of tales asks: Does anyone truly find salvation? Twisted Lanes shows what life is like for a set of people living in a cold reality that doesn't get any worse than this. The three stories are a feeling, not just a read, as you can’t get yourself out until you have taken in every word and felt all the emotions. You are part of each story, unfolding with every sentence. The twists and turns are so unexpected, they’ll leave you shocked and ready for more. This story had me hoping and praying for the characters like I was in the plot! I don’t want to give anymore away, just read the book – you won’t be disappointed. The reason I decided to rewrite Twisted Lanes for teenagers is because I think it will teach the reader a lifelong, valuable lesson now or in years to come. Inmates of Pentonville Prison who read the adult copy of Twisted Lanes said they found it very knowledgeable and fascinating as it related to their lives in some way or another. and if they add a second chance they would treasure it and use it wisely. If you want to read the story get the original text copy of Twisted Lanes today! If your organisation /institution fits the above description and you would like to be considered to receive a copy of one of the braille editions that will be created, please get in touch today - we would love to hear from you!